Curiosity Rover landed on Mars Successfully and started sending Images of Mars. Nasa's has announced that Curiosity Rover has landed on Mars Safely. U.S President Barack Obama on Curiosity: "Tonight, on the planet Mars, the United States of America made history." You can see below the Reaction of MSL (Mars Science Laboratory) Team after learning that Mars Curiosity rover has landed safely on Mars. 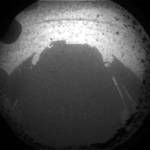 And, you can see below the first image of Mars sent by the Curiosity. 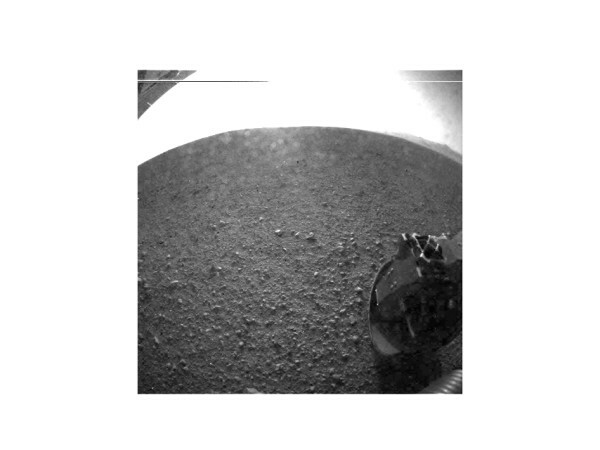 It seems this thumbnail sized black and white image is just a test picture taken by the Cameras of Curiosity to test the Image taking and sending functionalists. We may expect high quality images later. The below image shows "fisheye" picture from Curiosity Rover's rear Hazcam. You can see more images from Nasa Web page. “We are wheels down on Mars,” was the official word from mission control. 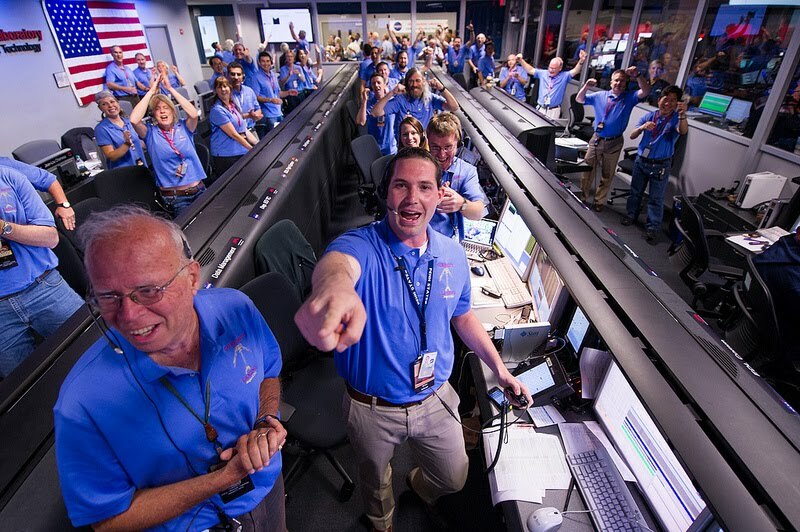 Engineers immediately erupted into applause, hugs, and a few tears. Soon after the landing, the first images came from Curiosity’s cameras, showing pebbles, dust, and the shadow of the rover on the surface of Mars. After a few days of warm-up, the one-ton nuclear powered Curiosity rover will be able to begin its primary mission of sampling and drilling the Martian surface for signs of habitability. While the rover will use its toolkit to perform important field geology on the Red Planet, its main mission will be to determine if Mars is now or could ever have been a site to host life. Over its two-year initial mission, Curiosity will drill, sample, and laser-shoot rocks on the Martian surface to figure out what minerals and elements they contain. In particular, the probe will search for organic carbon that could indicate fossilized life forms. Even more exciting, the rover will also sniff the Martian atmosphere for gasses such as methane that could be a sign of present-day life. Curiosity was designed and built by the Jet Propulsion Laboratory. 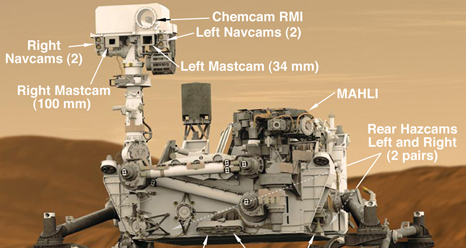 Curiosity is powered by a radioisotope thermoelectric generator (RTG). Determine the mineralogical composition of the Martian surface and near-surface geological materials. Attempt to detect chemical building blocks of life (biosignatures). Interpret the processes that have formed and modified rocks and soils. Assess long-timescale (i.e., 4-billion-year) Martian atmospheric evolution processes. Characterize the broad spectrum of surface radiation, including galactic radiation, cosmic radiation, solar proton events and secondary neutrons.